Are the outdoors calling your name? 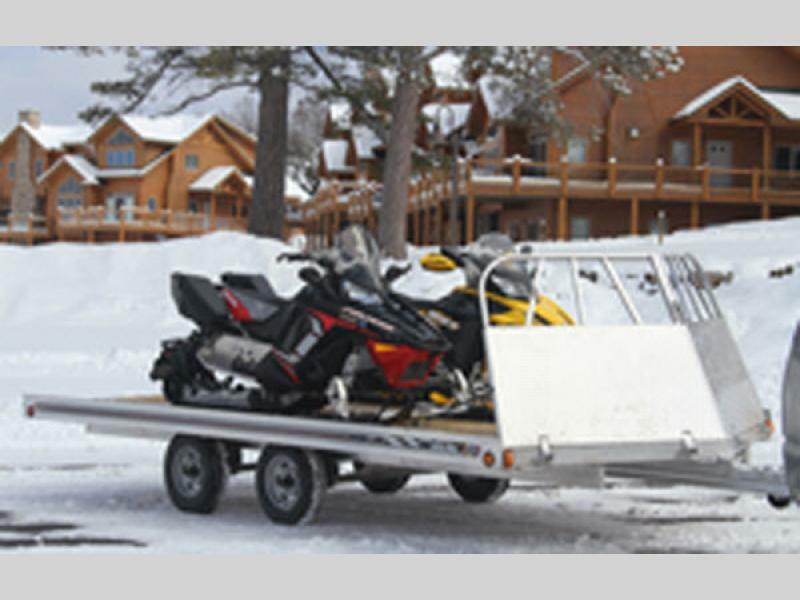 Get ready to answer that call by loading up your snowmobiles or four-wheelers on the Versa Max Ramp Trailers by Floe Trailer. These models range in size that allows for one off-road toy or up to six, the choice is yours! 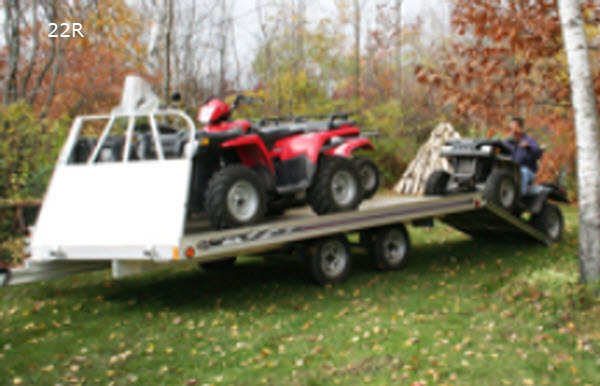 You will find that it is easy to load your off-road toys with the extra wide 52" ramp, and once your outdoor toys are all set then secure them with the Versa-Tracks and head out to your playground of choice! There is a limited ten-year warranty on the aluminum structure and lighting on these models, as well, you will find that each model features a v-front design. When you choose a Versa Max Ramp Trailer you are getting a quality trailer that you can haul with confidence. Come get yours today! 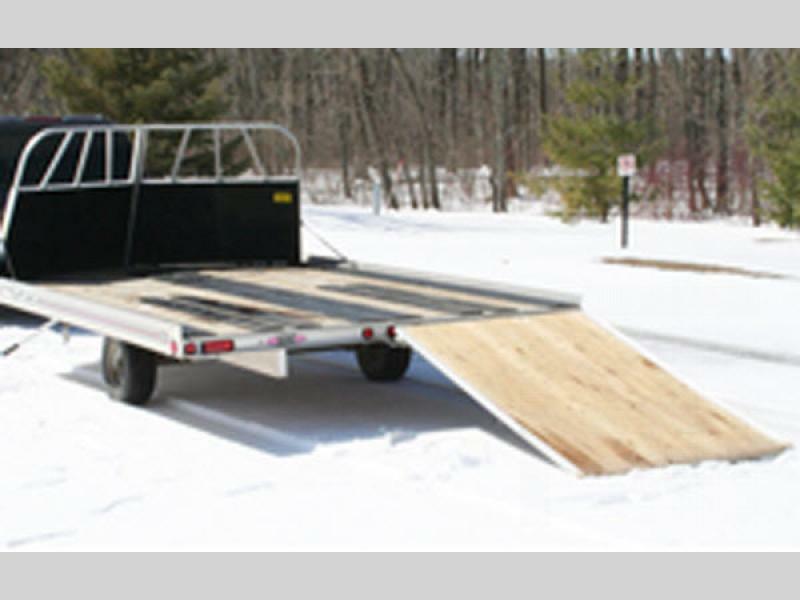 Extra wide 52″ ramp is easily accessed with the self-stowing Slide-n-Guide system. 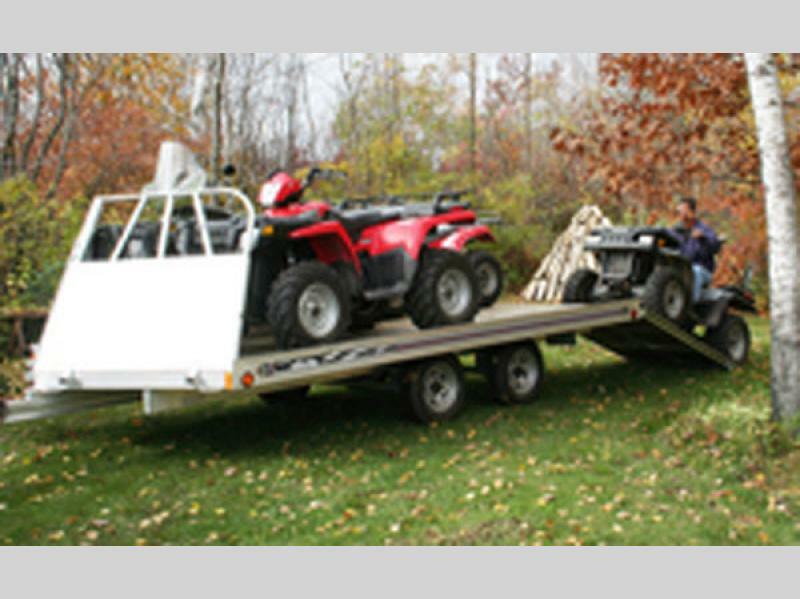 The heavy-duty ramp easily attaches on the V-front of the trailer for unloading and on the rear of the trailer for loading. Works great for both wheeled and track vehicles.